Tomelloso today hosted the 4th B2B Industrial Meeting of Castilla-La Mancha, where some 350 companies, some of them internationally, have participated in today’s B2B industrial meeting organized by Itecam, in collaboration with the Ministry of Economy , Tomelloso City Council and Aenor. This year has again had a reverse mission of international companies, thanks to the support of the Institute of Foreign Promotion (IPEX), as well as a space dedicated to innovation with the presence of research groups of the University of Castilla-La Mancha ( UCLM). • Large companies demanding products and services from the industrial sector. • Institutions to support innovation and internationalization. • Companies associated with the Technology Center, suppliers and potential suppliers within the manufacturing sector. A Stands area, which has served as an information point for the Technology Center and collaborators, and in which different companies have been able to show attendees their products. A networking space or meeting room, where companies have been able to enter into conversations and agreements between them throughout the day. The objective has been to promote knowledge among companies and entities that are part of the industrial and business ecosystem of Castilla-La Mancha, facilitating collaboration and the generation of synergies. 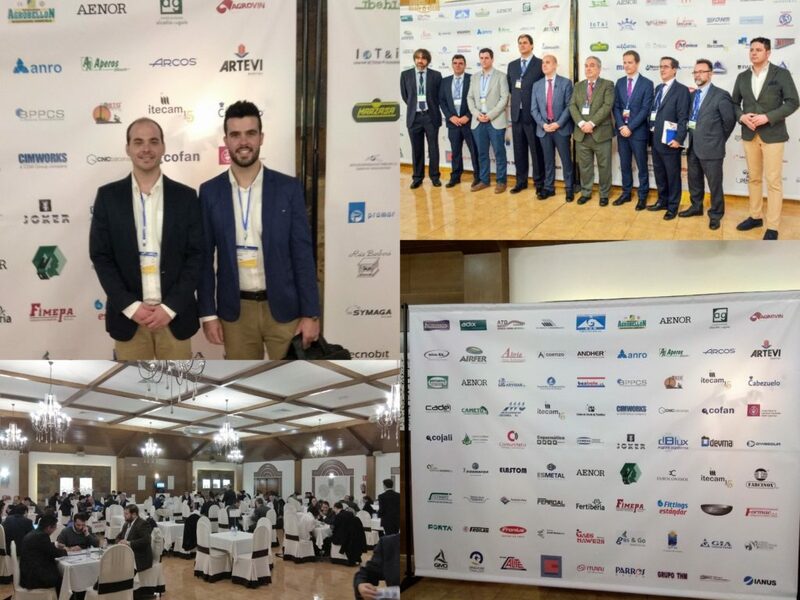 AGROVIN has been part of this great event as a company associated with ITECAM, holding various meetings with other companies throughout the day.